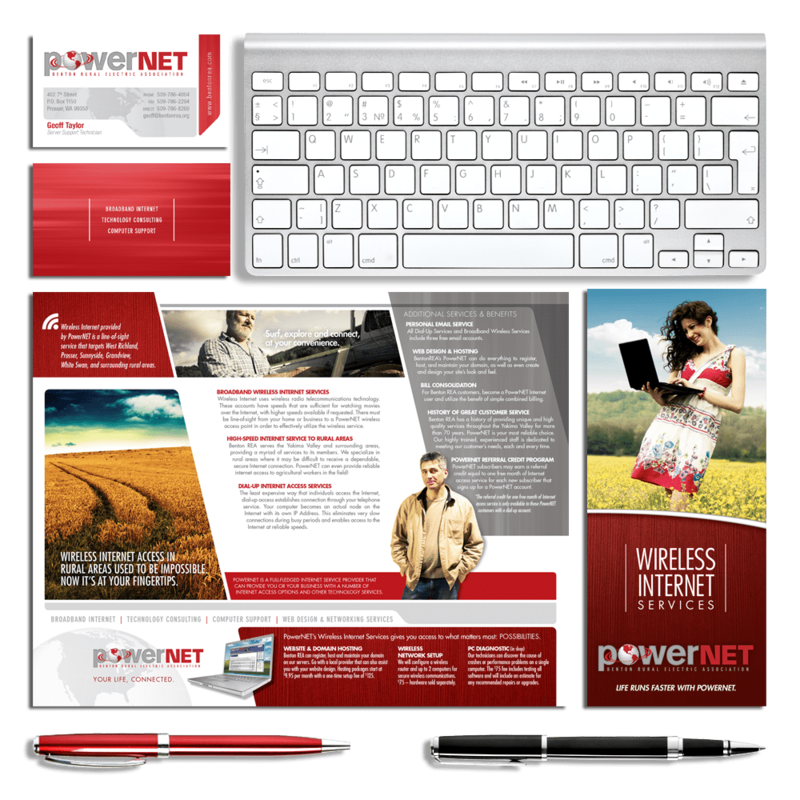 Focal Point Marketing is truly a full-service agency, so we always embrace opportunities such as the PowerNET campaign where we can come together as a team and build a campaign from the ground up. We’re unique in that we look at many tasks, such as strategy, branding, and design – typically restricted to individual departments – as opportunities for creative collaboration. The foundation of this campaign was the strategy, which aimed to create brand awareness, distinguish PowerNET from their parent company, modernize their outdated look, and establish a cohesive brand between their two distinct product lines, Wireless Internet and Key Accounts. Multi-departmental brainstorming sessions at this phase led to dynamic messaging, as well as the development of a brand voice and aesthetic that was carried effectively throughout the rest of the campaign. While the marketing plan was working its magic in the background, Focal Point brought the PowerNET brand to life through the production of a series of TV ads, filmed in the heart of the rural area that PowerNET serves. These unscripted TV ads provided an element of sincerity and a human quality, helping the clients to communicate their genuine experience by filming them in their environment, and asking them to speak honestly about their experiences. This accessible and conversational aesthetic was carried throughout a series of print ads as well.